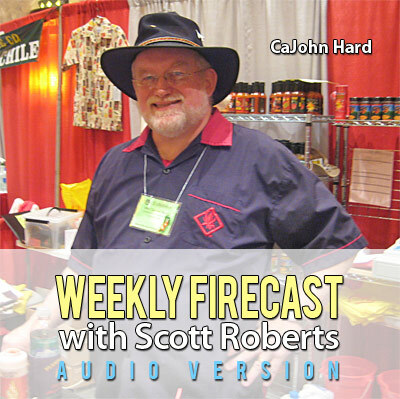 Scott speaks with none other than “The Godfather” of hot sauces, John “CaJohn” Hard! CaJohn chats extensively about his history, his fiery products, what it takes to create new flavors, and the chile pepper heat race. Scott also reviews Hellfire Hot Sauce’s Blueberry Hell Hot Sauce.